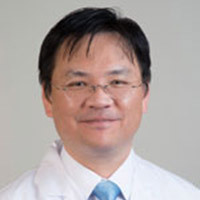 Dr. Hugo Hsu is an ophthalmic expert in cornea and external diseases. Clinically, he specializes in corneal infectious diseases, penetrating and endothelial corneal transplantation (DSAEK) surgeries, pterygia surgery, anterior segment reconstruction, secondary intraocular lens implantation and cataract surgery. His research interests include infectious keratitis, corneal transplantation and ocular microbiology. A cataract is a clouding of the lens of the eye. This is an area that is normally clear. Cataracts can cause cloudy or blurry vision. During an eye exam, an eye healthcare provider looks at your health history and gives you a series of eye tests. The tests are done to check the health of your eyes. Corneal transplantation is a surgery that replaces your poorly functioning cornea with a new donated one. The most common form of corneal transplantation is called penetrating keratoplasty. One common eye disorder is conjunctivitis, sometimes called pink eye. It's an inflammation of the blood vessels in the eye membrane. Another common disorder is a chalazion—a small bump that develops on the upper or lower eyelid. Genital herpes is a sexually transmitted disease. It is caused by the herpes simplex virus (HSV). Herpes infections can cause blisters and ulcers on the mouth or face (oral herpes). They can also cause sores in the genital area (genital herpes). HSV is a life-long infection. Keratoconus is an eye disorder in which your cornea slowly thins over time. The cornea also bulges out over time, to form a cone-like shape. Keratoconus causes nearsightedness and blurry vision. A pterygium is a type of noncancer growth on your eye. It is often only a minor problem unless it causes vision problems. Shingles, or herpes zoster, is a common infection of the nerves that is caused by a virus. It causes a painful rash or small blisters on an area of skin.